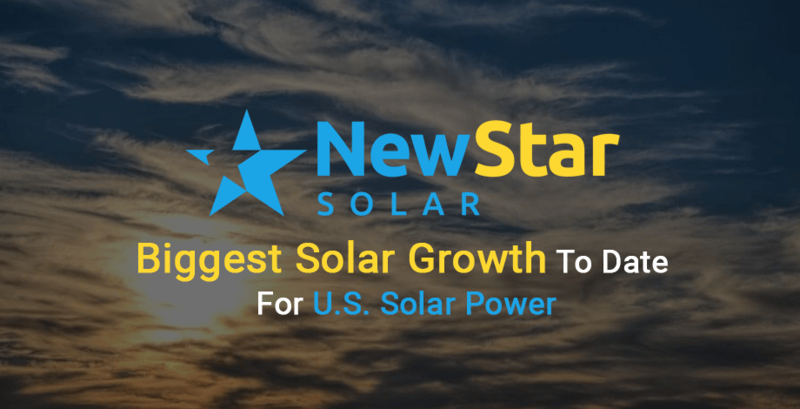 According to a recent report released by SEIA and GTM research released on 12/13/2016, solar power industry had its biggest quarterly solar growth to date. More solar panels were installed in the United States than any other time in history. This translates to more than 4000 megawatts of solar power installed in 2016. With Solar Power availability and demand greater than any other time, the outlook is that solar growth is positive. Solar energy is here to stay and will continue to make an impact on the energy industry. Solar energy is here to stay and will continue to make an impact on the energy industry. As solar becomes more readily available, consumers will also be rewarded with savings on their energy bills leading to continued solar growth throughout the U.S.
As solar energy emerges as a mainstream energy source it is just a matter of time before our cities are powered by energy that has been generated by solar power. This places solar energy in second place following closely behind natural gas which is a fossil fuel, in new energy needs. Unlike natural gas, solar energy can be generated directly by consumers and is not a fossil fuel. Unlike natural gas, solar energy can be generated directly by consumers and is not a fossil fuel. New installations that came on-line in 2016 were up 88% over 2015 numbers. If the rate of solar power installs continues in 2017, solar power will once again have one of the biggest growth rates for new additions. According to the EIA/GTM Research U.S. Solar Market Insight™ report, the U.S. installed 4,143 MWdc of solar PV in Q3 2016, increasing 99% over Q2 2016 and 191% over Q3 2015. This marks the largest quarter ever for the U.S. solar industry.